Admired wherever she sails, the stunning ELENA sailing yacht combines elegance and old-world glamour with pace, adventure and spirit. One of the rare perfect replicas of a 20th-century yacht, her existence is a credit to the passion and dedication of her Captain, Steve Mclaren, who oversaw her construction in 2009. 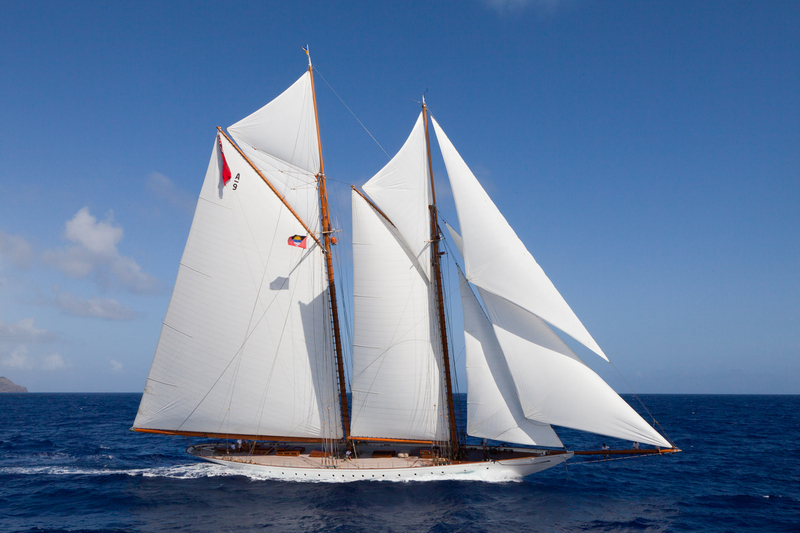 She is a meticulously accurate reproduction of a 1911 racing yacht of the same name, a maritime legend which enjoyed a successful 17-year racing season on the United States’ east coast, before winning the prestigious King’s Cup Transatlantic Race. 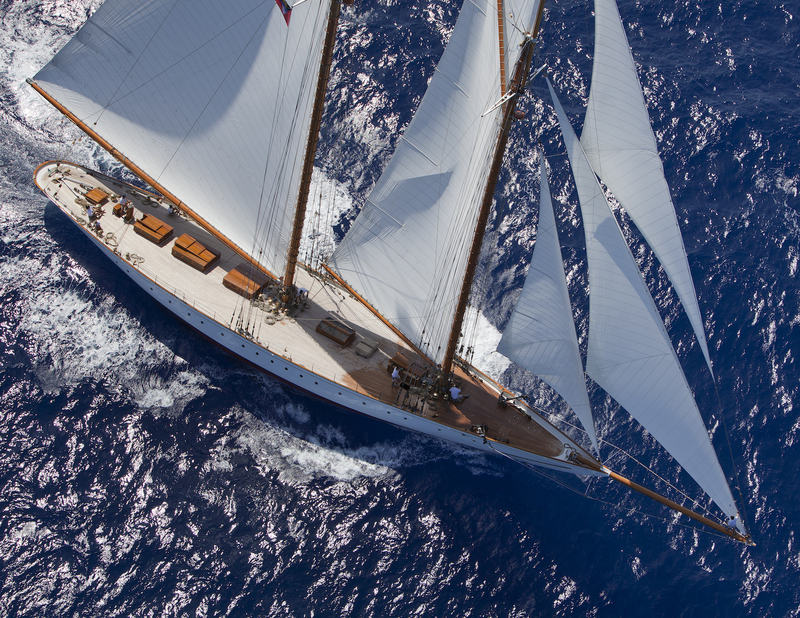 While the modern ELENA still sees her fair share of racing, she is also available for classic sailing yacht charters, providing the vacation of a lifetime for couples and families alike. In 1910 the first ELENA was commissioned by wealthy US financier Morton Plant to be designed by Nathanael Herreshoff, a naval architect famed for designing sailing yachts for America’s elite. Plant was a yachting enthusiast, and racing was one of his favourite pastimes. His design brief for ELENA was short but sweet: build me a schooner that can win! Herreshoff gave Elena a slightly deeper keel than was typical in that time, lowering her centre of ballast and accelerating her windward ability. ELENA was a huge success, going on to win the majority of her early races and her crowning glory in the 1928 Trans-Atlantic Race. Today’s replica classic sailing yacht is also a traditional schooner, built and launched in 2009 from Factoria Naval de Marin. Captain Steve Mclaren was the driving force behind the build, choosing the boat from the original Herreshoff plans at the MIT museum in the USA and taking on the role of her project manager and team leader. Delighting everyone during sea trials for her fast, smooth sailing, ELENA is now in her tenth successful year as a charter and racing yacht. 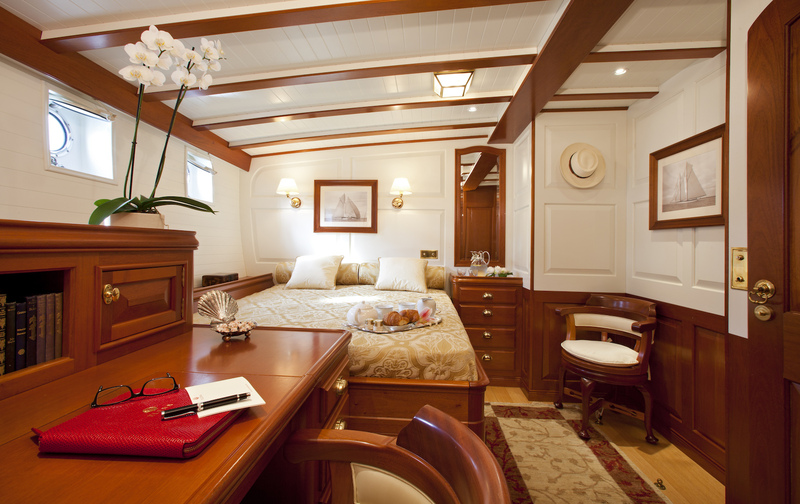 ELENA offers classic yacht interiors and romantic, old-style glamour. 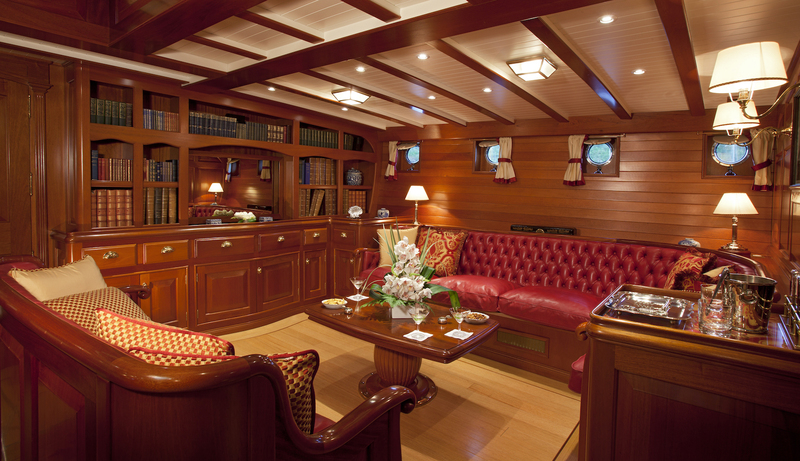 Finished in mahogany wood-panelling resembling that of a stately home, her full-width saloon has a spacious dining area and a comfortable sitting room that will transport you back to another time. Unlike her predecessor however, she is equipped with all modern comforts and luxuries, including WiFi, TVs and an iPod docking station. At 55m, ELENA can sleep up to eight guests and eight crew members. Below deck, guests can relax in the four beautifully designed and air-conditioned cabins, all equipped with their own TVs and CD players, ample hanging and cupboard space, en-suite bathrooms and plenty of natural light. As classic yacht interiors go, ELENA is the perfect balance between replicating history and incorporating the contemporary. Chartering such an evocative sailing yacht could be one of the most romantic holidays a couple could take, a treat ideal for anniversaries or special occasions, but she’s so spacious that family and friends will doubtless want to join in too. ELENA spends the summer months sailing the many stunning charter destinations of the West Mediterranean, leaving you with endless options of where to explore. 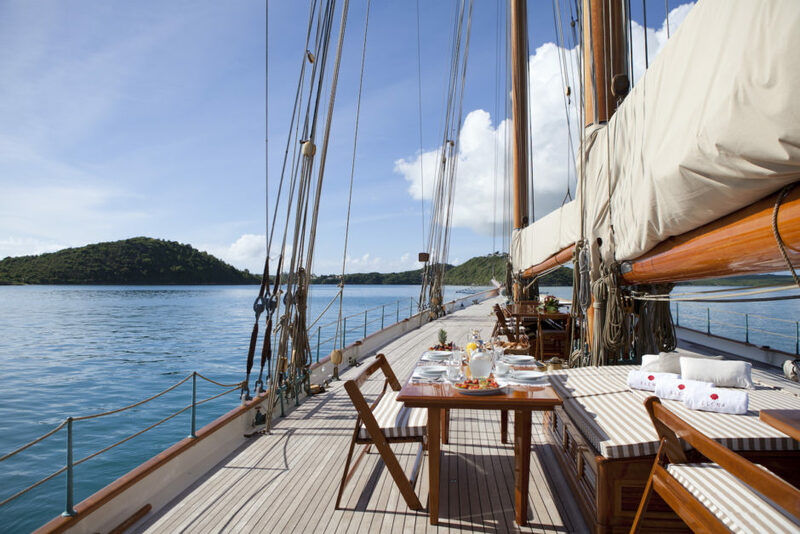 If you’re looking for an incredibly romantic, once-in-a-lifetime holiday experience this summer, why not consider a classic sailing yacht charter on beautiful schooner ELENA?